A methodology approach focuses on building technique first and playing melodies later. Learn the basic building blocks of playing before attempting to play over your head: chording, rhythm, scales and playing leads. 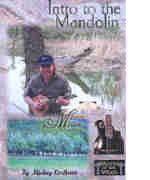 Begins with features of the mandolin, adjusting the action to fit your playing style and tuning. Starts with the most common chords - G, C, D and A, then teaches how to combine these with rhythm techniques & strum in time. More advanced techniques and many tunes follow - melodies, fiddle style & shuffle rhythms. Beginning/intermediate. 2 hours, 20 min. New lower price! This DVD starts at the very beginning, by covering all the basics. The techniques are applied to 7 well-known bluegrass songs, plus learn the chording for each song, which will enable you to play with other people! Taught by Murphy Henry. No Tab. Boil Them Cabbage, Cripple Creek, Worried Man, and more! (2 hours)n Download now from PlayBetterBluegrass.com!